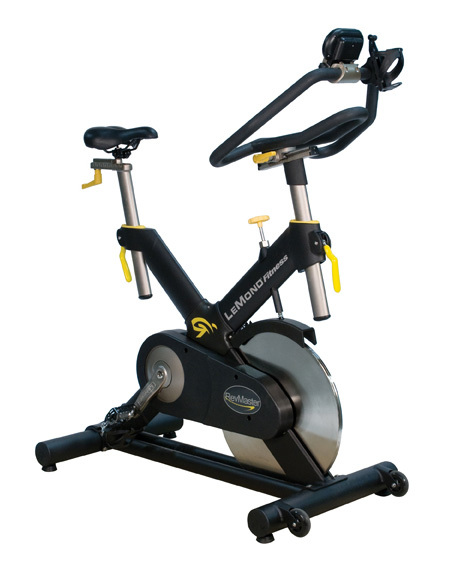 The next generation LeMond RevMaster Pro offers you some great upgrades to the classic model. For maximum riding comfort, the new narrower crank design replicates the geometry of a great road bike. New Cam handles and increased adjustment ranges to seat and handlebars create the best custom fit available and gives you greater muscle involvement. The 4-way microfit also lets you cycle in an upright position or pedal stretched out and low, which is ideal for triathletes. Improved corrosion resistance by using electroless nickel plating and a new 2 piece bottom bracket cartridge make the RevMaster Pro even easier to maintain and service - with most components pre-assembled. NEW Next Generation X-Frame Gives you a better ride and allows easy access to all seat, height and handlebar adjustments. Plus  new Bottom bracket cartridge has a 2 piece design for modular service. NEW Cam Handles - Comfortable and easy to use, offers quicker adjustments without the hassle of pop-pins and threaded handles. NEW More Adjustment Ranges - Allows a better fit with more comfort. Improved Corrosion Resistence - New electroles nickel plating is stronger then stainless. Fender With Integrated Brake Assembly " Provides improved braking and doubles as a moisture guard. Kevlar Belt - A Kevlar belt instead of a chain. The result is a smooth and QUIET ride. Our belt never needs to be replaced due to stretch, or oiled like the chain bikes. Brake and Resistance Designed for ease of use - the resistance knob adjusts easily. Just turn the knob to adjust (increase or decrease) the intensity of your workout. By simply pressing down on the same knob, the braking system activates quickly and safely. Micro turn adjustment allows for smooth, safe transitions to higher intensity levels. Custom Cranks - Strong BMX custom cranks & bottombracket designed to withstand greater force loads then conventional bikes. Easy to switch seat options - Post will accommodate personal preferences. Clearance Sale On Now. Call for Price!